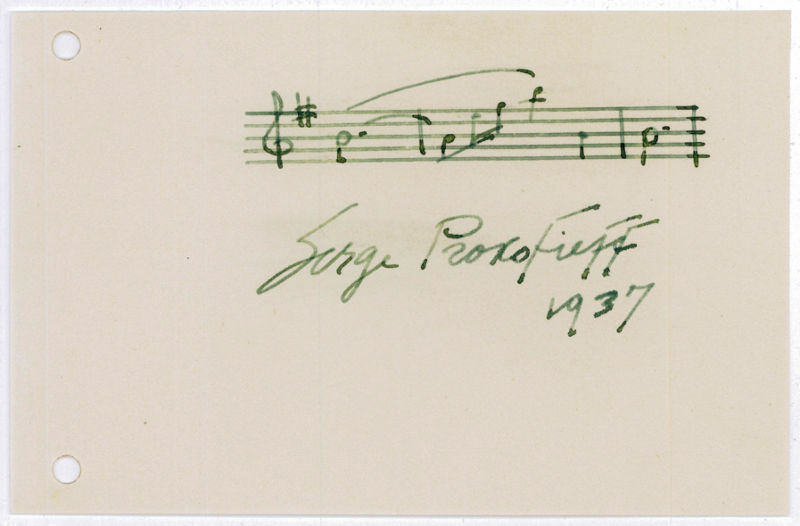 "As the creator of acknowledged masterpieces across numerous musical genres, Prokofiew is regarded as one of the major composers of the 20th century. His works include such widely heard works as the March from The Love for Three Oranges, the suite Lieutenant Kijé, the ballet Romeo and Juliet – from which ""Dance of the Knights"" is taken – and Peter and the Wolf. 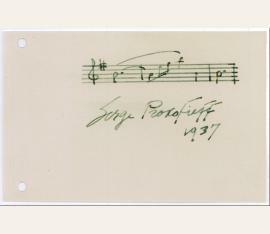 Of the established forms and genres in which he worked, he created – excluding juvenilia – seven completed operas, seven symphonies, eight ballets, five piano concertos, two violin concertos, a cello concerto, and nine completed piano sonatas. " Russian composer, pianist and conductor (1891-1953). 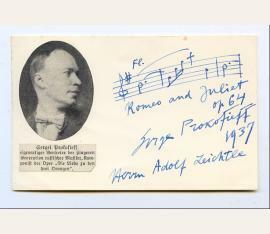 Autograph musical quotation signed. N. p. Oblong 8vo. 1 p.
Three bars from an unidentified work. - Left margin with punched holes (not touching text). 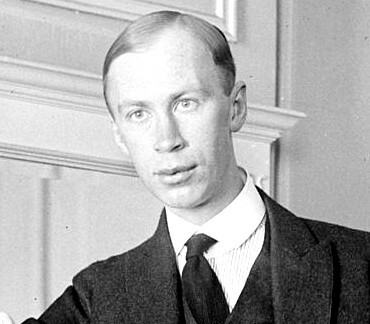 Sergei Prokofjew (1891–1953), Komponist. E. musikalisches Albumblatt mit U. und alt montiertem Portrait (Zeitungsausschnitt). O. O., 1937. O. O. u. D. 1 S. Qu.-8°. – Drei Takte aus „Romeo und Julia“ (op. 64, 1936), gewidmet „Herrn Adolf Leichtle“.